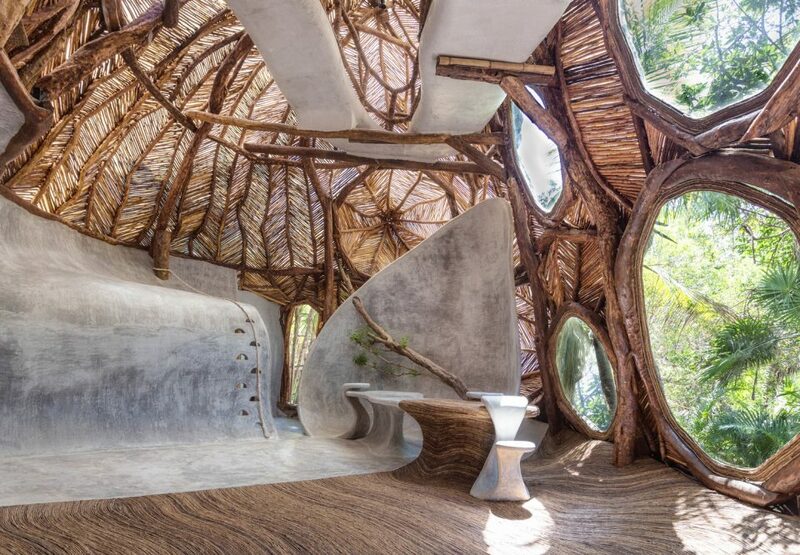 What if the architecture of the future was fluid, organic and infused with an enhanced connection to the Earth? 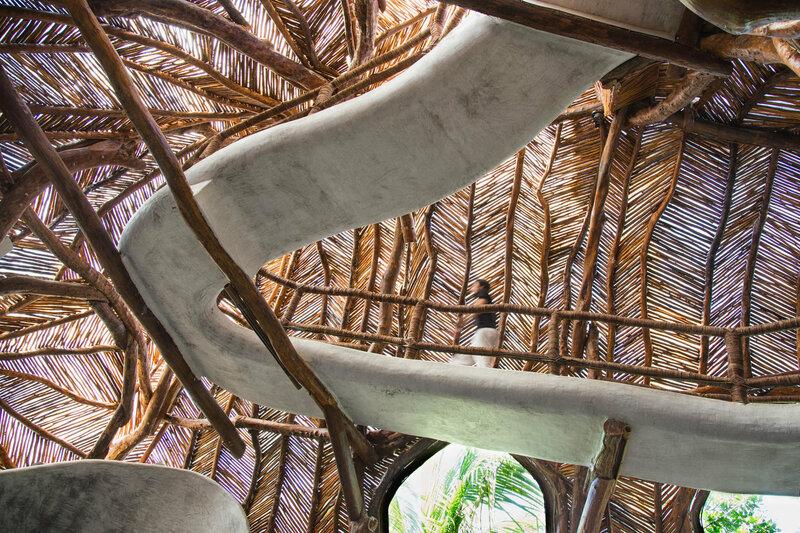 IK LAB, a new open-air art gallery in Tulum, Mexico, gives us a glimpse of what that could look like. 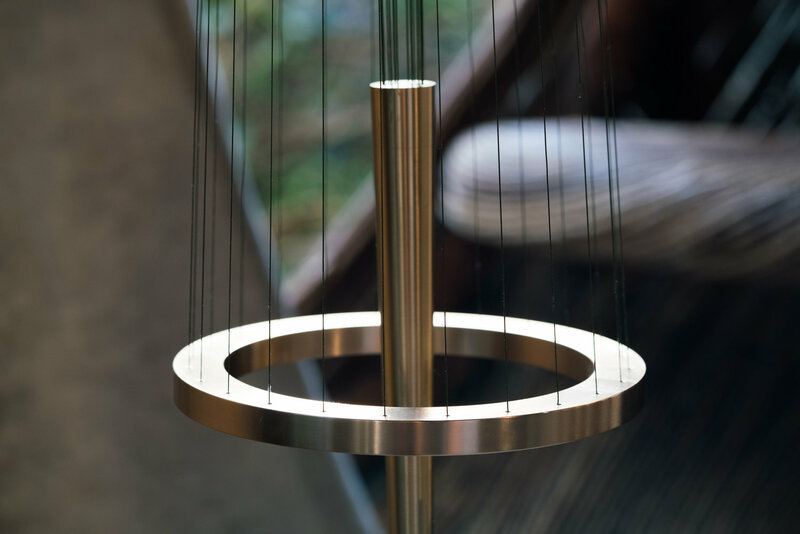 Founded by Santiago Rumney Guggenheim and designed by Jorge Eduardo Neira Serkel, IK LAB is envisioned as a new way to approach gallery spaces, allowing the character of the setting to interplay with art rather than isolating it in a blank white cube. 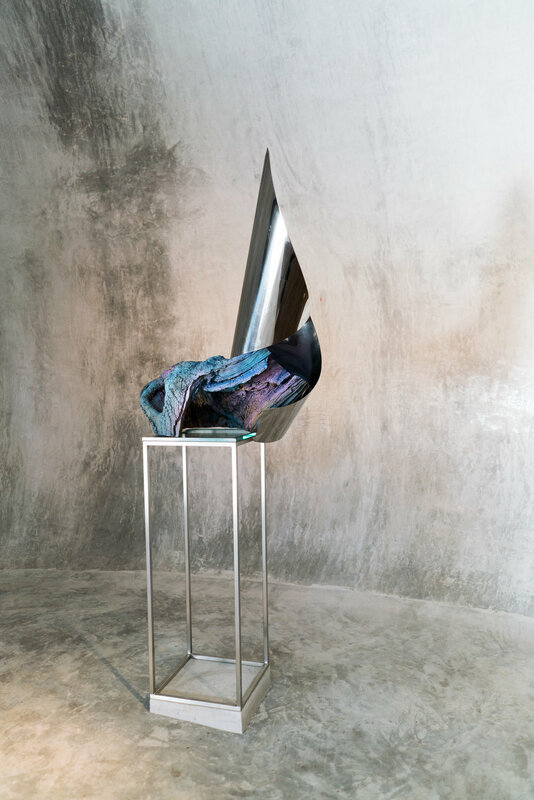 That way, the art almost takes on a new life anywhere it’s displayed, shifting slightly in dialogue with its surroundings instead of remaining static. 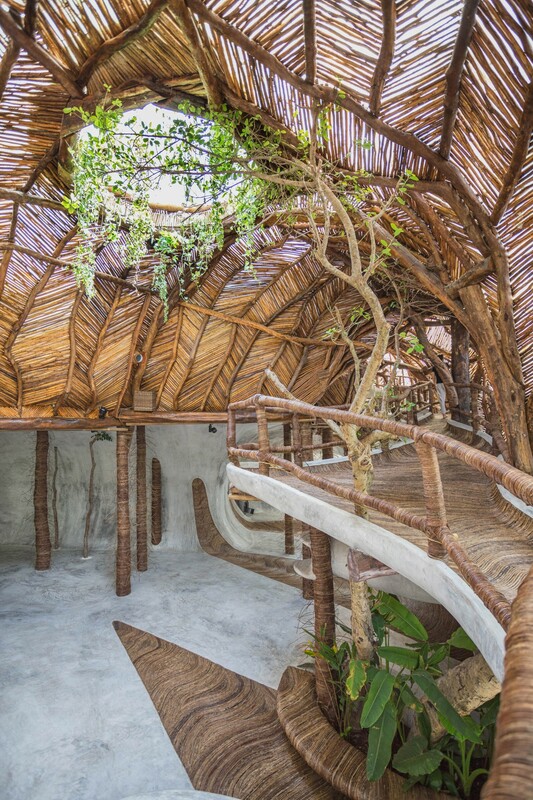 Located on the Azulik eco resort amidst natural villas made of the same native bejuco vines, IK LAB almost looks like something an animal would have created, full of natural shapes seemingly inspired by leaves and flower petals. 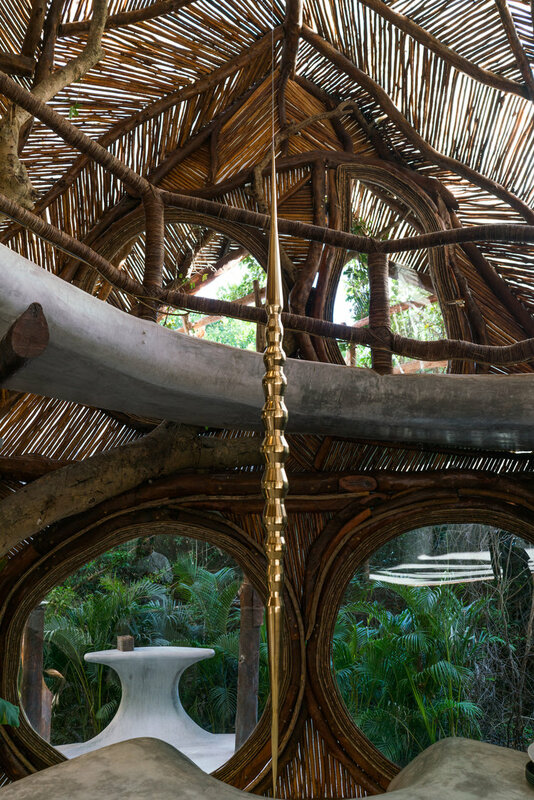 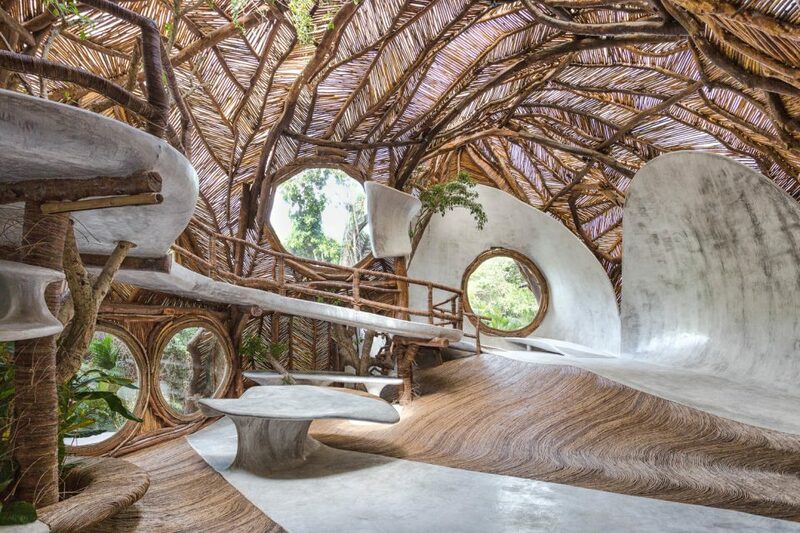 The vines are woven into slatted walls arching up to form a dome-like structure, and large circular openings reveal views of the jungle outside. 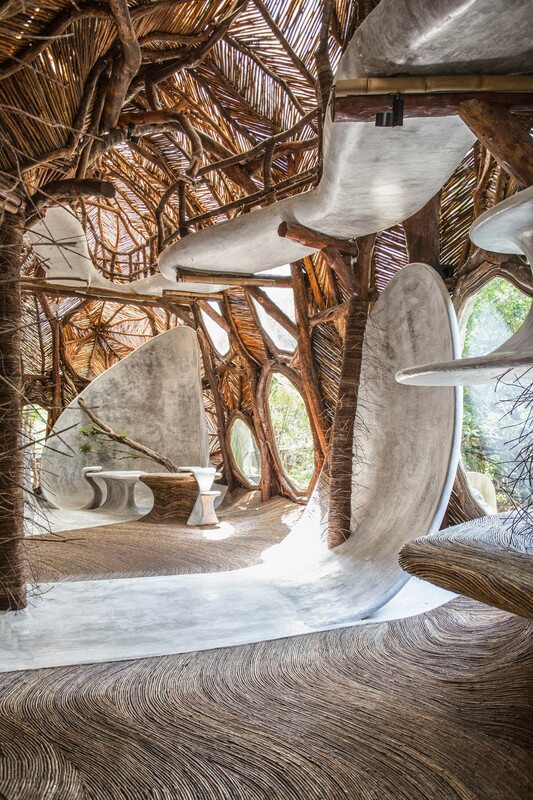 The cement is intentionally acoustic, producing echoes of the activity inside to make sound a part of the experience. 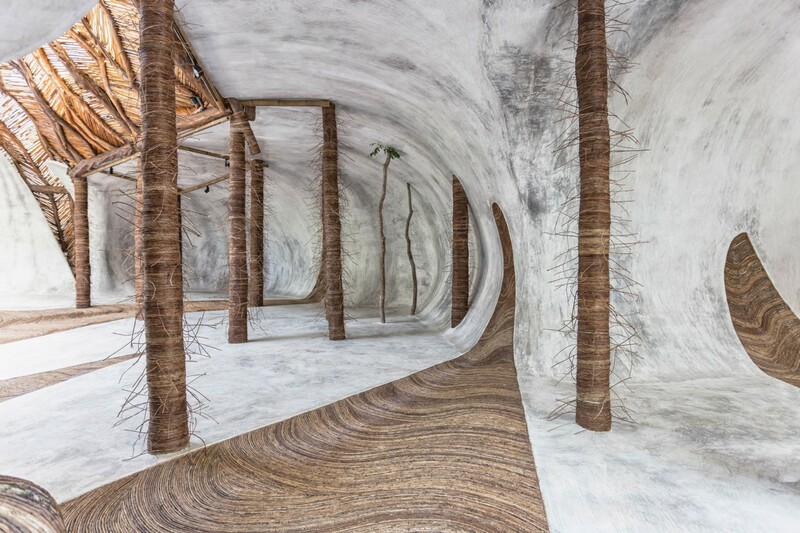 Visitors are encouraged to take off their shoes to experience the textures of the space with their skin.